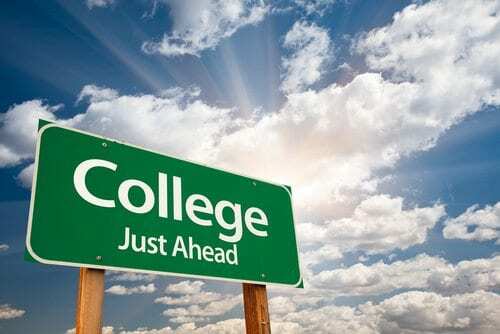 Incoming Freshman: Here Is Some Advice! For those of you who are incoming Freshman in college you are probably freaking out a little bit! I mean, it’s only natural right? For most of you, you will no longer have the comfort of having a whole room to yourself, mom and dad aren’t there for support, and you’re praying your roommate isn’t a total psycho. Well here’s what I have to say to you…don’t stress about it! The first day is always going to be rough. You’ll get lost, probably walk into the same room at least five times before finally finding the correct professor who will still give you scowl upon entering, you’ll drop a pen that somebody will pick up and claim as theirs, and then you may start to feel alone. However, you’ll get back to your dorm room (for my dorm-ing students) or your bedroom (for my commuting students) and then tomorrow will come. You will get the hang of it and finding your way around campus will eventually become ten times easier than it ever was before. Hell, you may even make a friend and if not, that’s okay too. School for most kids isn’t always what it’s cracked up to be. I know it seems like one big party and for some students, it is. Yet, sometimes the main reason for college gets lost in the parties. What’s the main reason everyone? TO GET A DEGREE AND EVENTUALLY MAKE MONEY! LEGITIMATE MONEY. Your main focus always has to be on your school work, why? Because the second you begin to slack off it becomes harder to get your grades back up and then it becomes almost impossible to whip your concentration back into shape, believe me, I know this from experience. My first semester in college I was an absolute wreck. I thought, screw it, I’m an adult, I do what I want. So, I would ditch out of school…a lot! Being a commuter I hated the idea of driving to a school that was thirty minutes away from my house…even though I knew that was the whole point of being a commuter. My ditching out was so bad my professor’s used to think I was in the wrong room every time I actually showed up. On top of ditching out I had no friends, and the friends that I did have from high school that went to this school were off making their own friends. Now, me being me I just got very down on myself thinking clearly college is just not for me…maybe I should have taken a year off, obviously it was too late then. My second semester finally came around and I had a new head on my shoulders. I told myself I was going to go to every single class possible even if it killed me. And you know what happened? I did it (anti-climactic I know). I actually wound up making a lot of new friends, I learned the entire campus, got my grades up by a long shot, and hell, this time my professor’s actually knew my first and last name. Freaky right? Although I may have gotten my grades up it doesn’t mean that it was easy to do so. It took a lot of hard work, focus, and dedication to get to where I’m at right now. So for all of you incoming Freshman, your first year will be a roller coaster ride. You’ll either love or hate your classes/professor’s, despise or love your roommate, make new friends or lose old friends, and study hard or party hard. You will eventually learn your way and you will be successful at whatever you put your mind to. Don’t stress, breathe it out, and never be afraid to be yourself.